Where do you find your interior design inspiration? If you don’t want your home to look like the latest—and ubiquitous—home decor catalog or website, it’s time to make a trip to Material Possessions in Winnetka. There’s good reason the upscale boutique has not only survived but also thrived for four decades despite several economic recessions and the onset of big box stores and online shopping. Swartchild always knew she appreciated beautiful things and had the knack for design. After college, with an interior design major and an art history minor, she worked for interior designer Roz Mallin for two years before starting her family. As a stay at home mom, “I knew I needed a creative outlet,” she explains. That outlet evolved into helping local homeowners and friends move “things” around to improve the aesthetics of their homes. 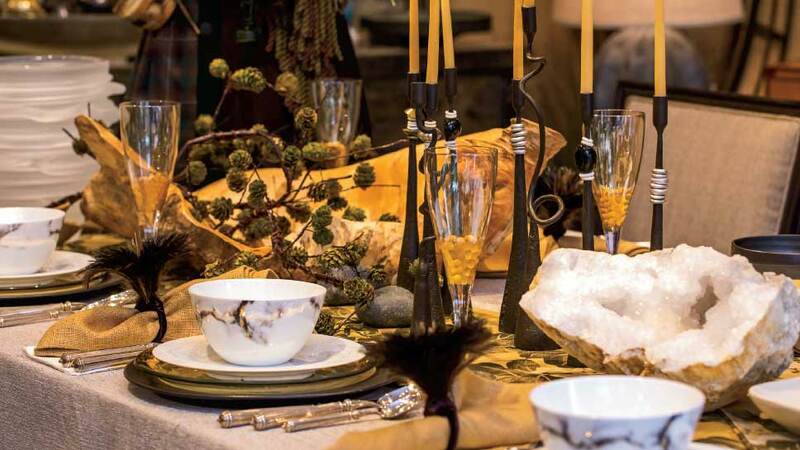 In 1977, Swartchild and fellow Winnetkan Penny Weis found themselves designing the windows and accessorizing a local antique store in town, and Material Possessions was born as a store within a store. Three years later it moved around the corner to its present Green Bay Road location. Carol Levy became a partner several years later when Material Possessions opened its Chicago store, which flourished for 34 years. Today, partners Levy and Swartchild agree that the Chicago store was instrumental in giving Material Possessions a Chicagoland and national presence. It was also in the Chicago store that their website first took form, and where their bridal registries started and grew rapidly. 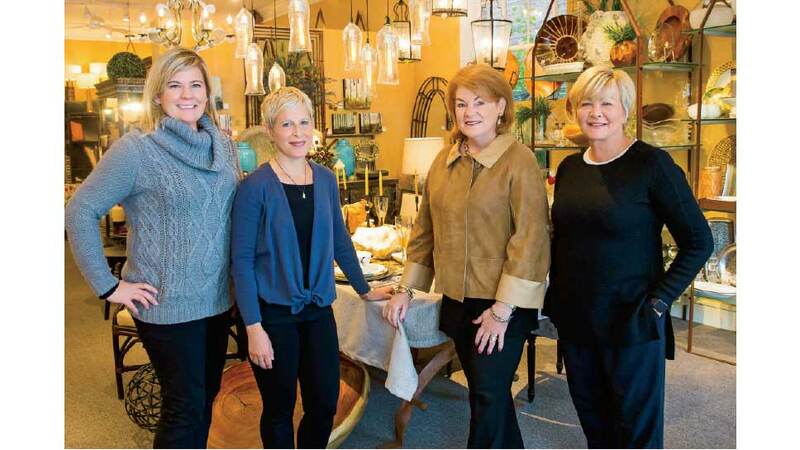 So, besides the large selection of carefully selected, standout, well-made, classic but current, and often one-of-a-kind home accessories that includes furniture, lighting, jewelry and handbags, what has enabled the store to endure for 40 years? “Our staff,” says Swartchild and Levy without a moment’s hesitation. “They are family.” Their longevity speaks for itself. “Our manager Gayle Cohen has been with us for 30 years; Josie 19 years; Suzy 38 years; Pam Weiner for 15 years; Jessica, Laurie and Julie 12.” They may go have children, and then they come back. “We spend a lot of time with our clients. We welcome them in and show them around like it is our own home; we love to walk customers around the floor which is designed with lifestyle in mind and shows how to envision objects in your home,” Levy says. 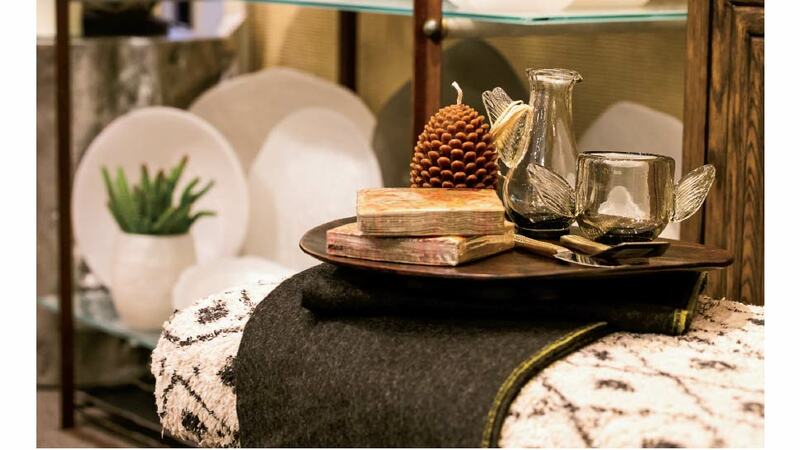 The store’s signature vignettes are set up all over the store to give shoppers a visual snap shot of how to artfully assemble and display seemingly disparate items in a cohesive, welcoming, and truly artful way: a serving tray with vintage-inspired barware arranged as if ready to serve drinks; a selection of luxurious hand made Tibetan silk and linen throw pillows arranged on a sofa; a large piece of art—which is a beautiful Kimono made from coffee filters (yes, coffee filters! )—hung over a custom-made Michael McClatchy concrete and steel buffet table adorned with fall accessories and serving pieces; new-to-the-shop vinyl patterned wipe off floor mats, which actually look like high-end area rugs great for entryways—strewn in one corner of the store. You get the idea. Among the selection of personal accessories are handbags, jewelry, and scarves. Material Possessions features designers who create items made of the highest quality, design, and workmanship: handbags reminiscent of Bottega Veneta; statement piece jewelry by designers such as Rene Escobar, Steve and Anita Vaubel, and Clara Williams. It is also important to mention that Material Possessions has always given back to the community and to those less fortunate, Over the years, they have supported the North Shore Art League, the Cancer Wellness Center, the Chicago Botanic Garden, the Chicago Children’s Museum, The American Cancer Society and the Fight Against Breast Cancer, the Winnetka Chamber of Commerce, many house walks and other worthy causes and events. 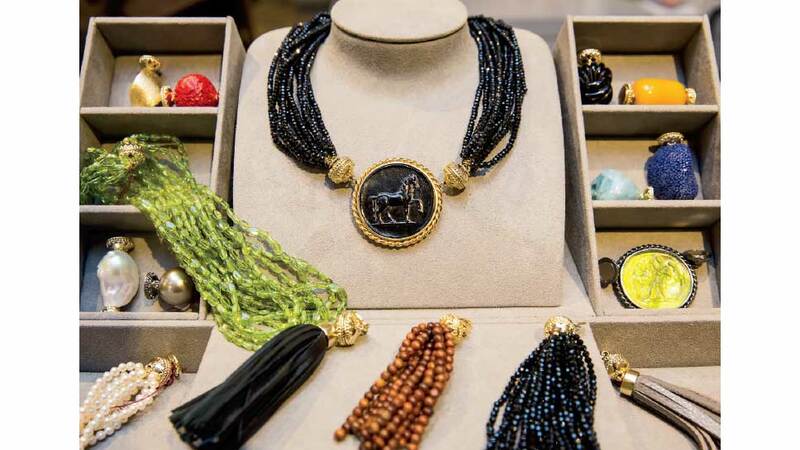 Material Possessions also offers in-home consultation and design services and regular trunk shows featuring designers with their new collections. Material Possessions is located at 954 Green Bay Road, in Winnetka, 847-446-8840, materialpossessions.com.